English needles are best known because the eye of the needle and the shaft are polished to reduce thread strain allowing smooth passage through your fabric. 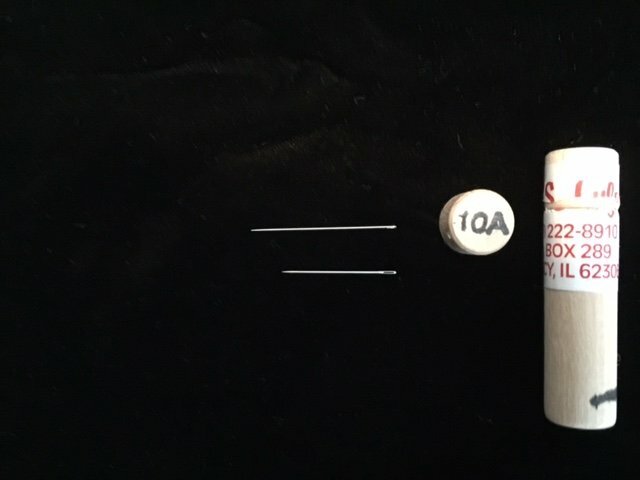 #10A are the larger needle shown in the photo. The shorter #10 B have the much larger eye for threading. #10B is what I use personally but many appliquers like this longer needle. They no longer come in the wooden case unfortunately. The English manufacturer says they have been discontinued due to the price of making the little wood cases.